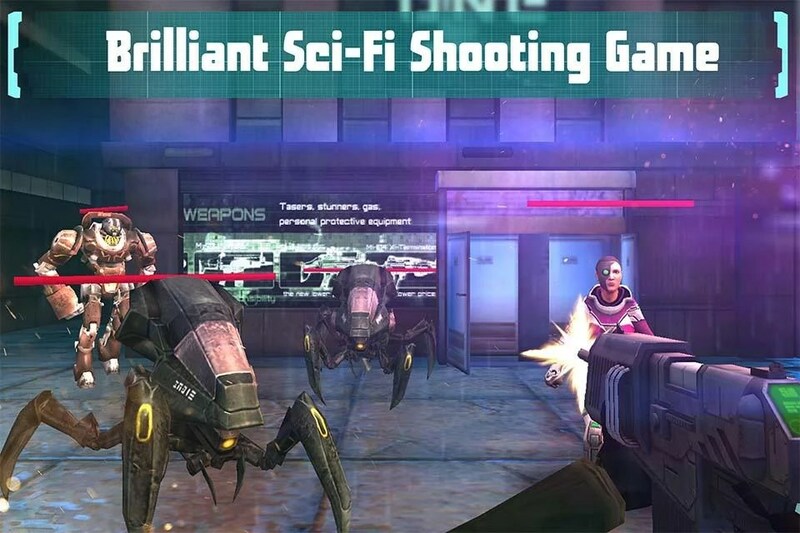 Modern Frontline: FPS Shooter – Games for Android 2018 – Free download. 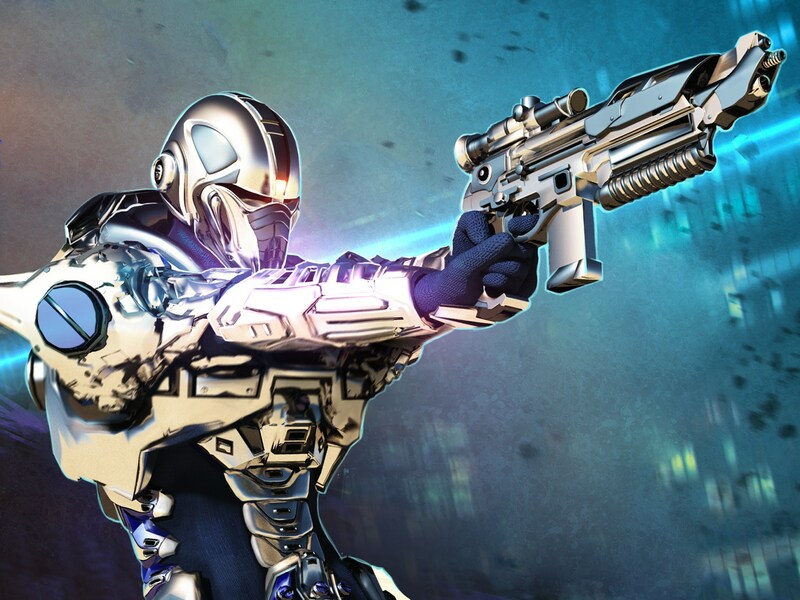 Modern Frontline: FPS Shooter – Use your arsenal to defend humanity from a robotic menace. 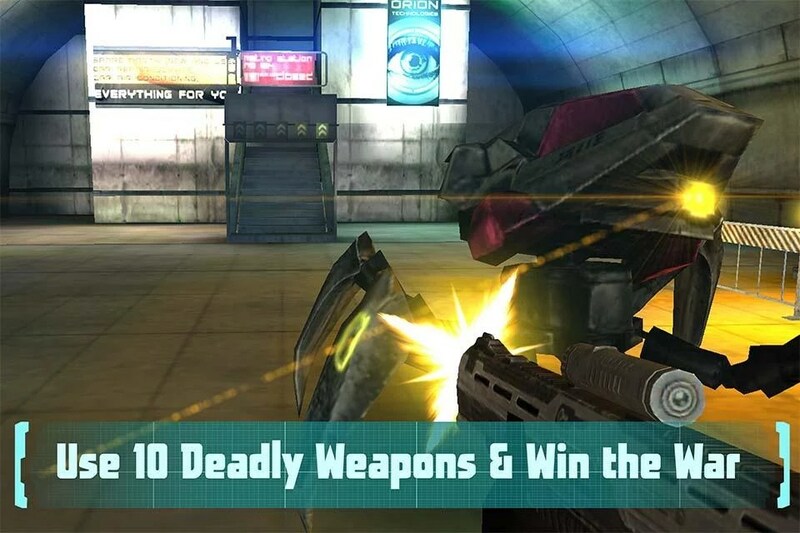 Modern Frontline: FPS Shooter for Android is a simplistic shooter that lets users test their aim against waves upon waves of enemies. 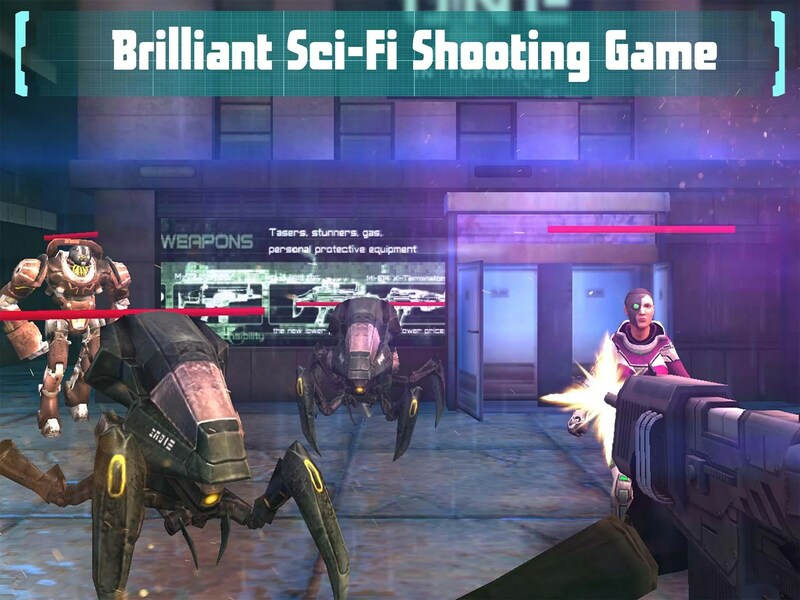 A shooter is the perfect description for the game, as it does all the tactical movements in the user’s stead and leaves behind only the shooting part and the purchase and upgrade of weapons. 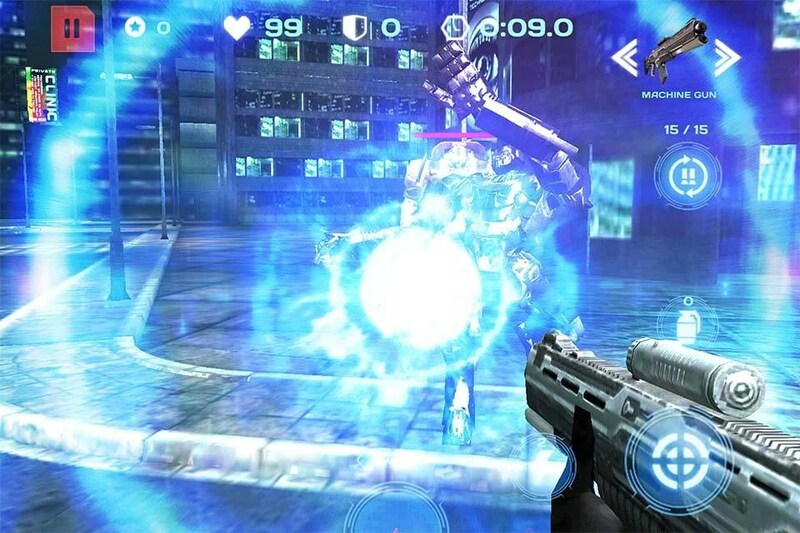 Each level is designed with several chokepoints in mind where the user will make his stand against the oncoming android waves. 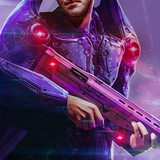 There it’s the player’s job to use all available tools to survive and destroy the alien menace before moving on to the next defensible spot. 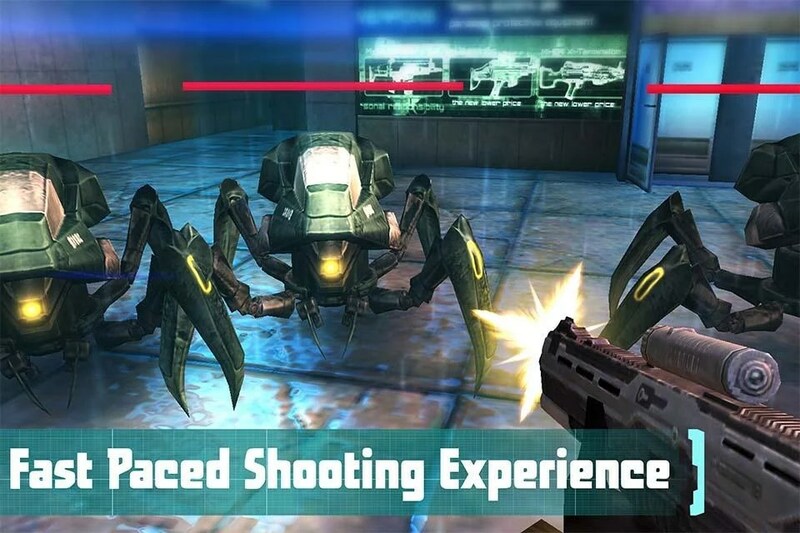 There is absolutely zero threat in the transition between positions but the game attempts to move the player in such a way that it feels somewhat believable that an enemy could pop out at any time. 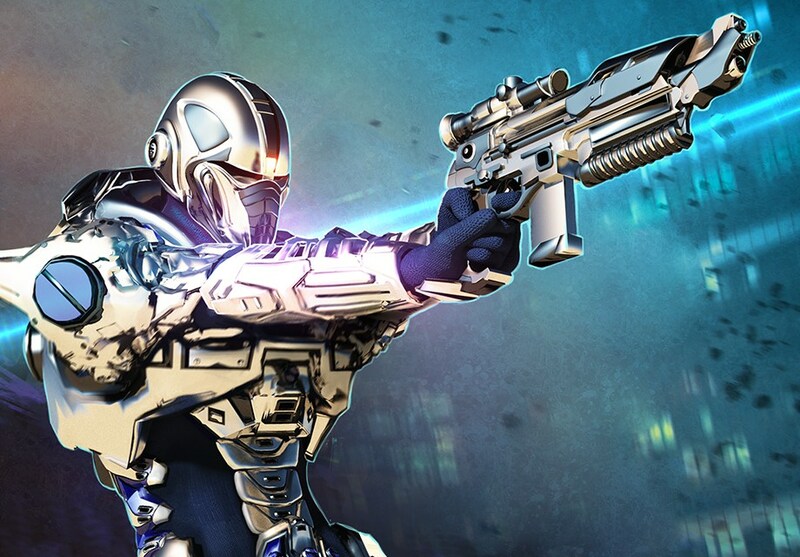 Players have access to a wide variety of guns, power-ups and explosives to succeed in their mission. Defeating enemies and completing challenges will provide the player with a moderate income that allows the purchase of more powerful killing tools, yet the true firepower is just expensive enough to make sure that in-app purchases are tempting, without hindering the player’s progress. 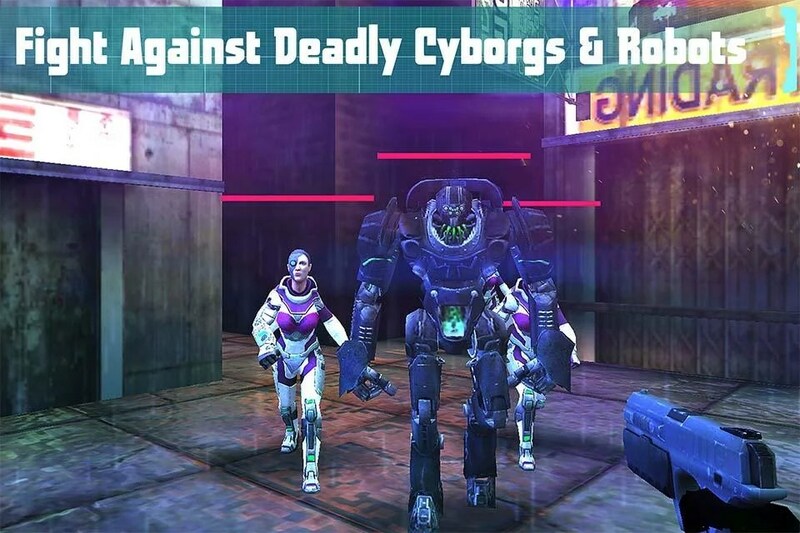 Opponents have a decent design, yet bottom line is that they all share a generic visual scheme and combined with the terrible AI that simply charges down a line and attacks the player manage to create some of the dullest enemies to date. 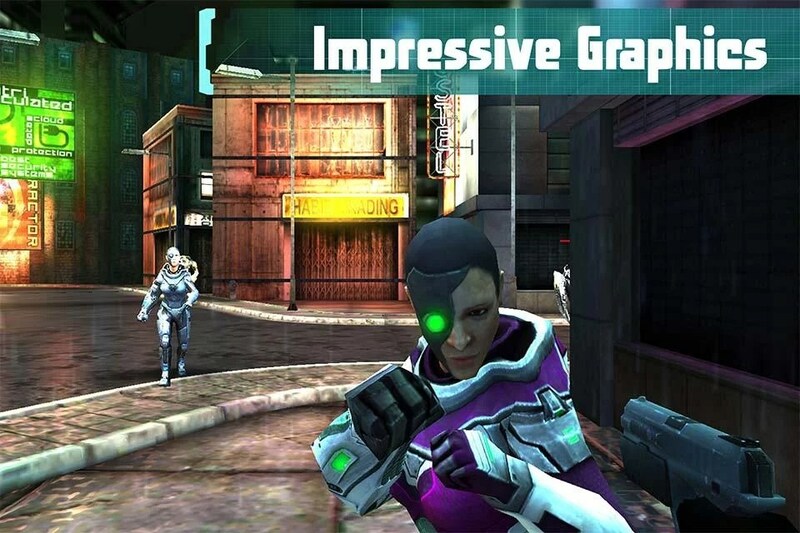 Overall Modern Frontline: FPS Shooter offers minimal amusement. 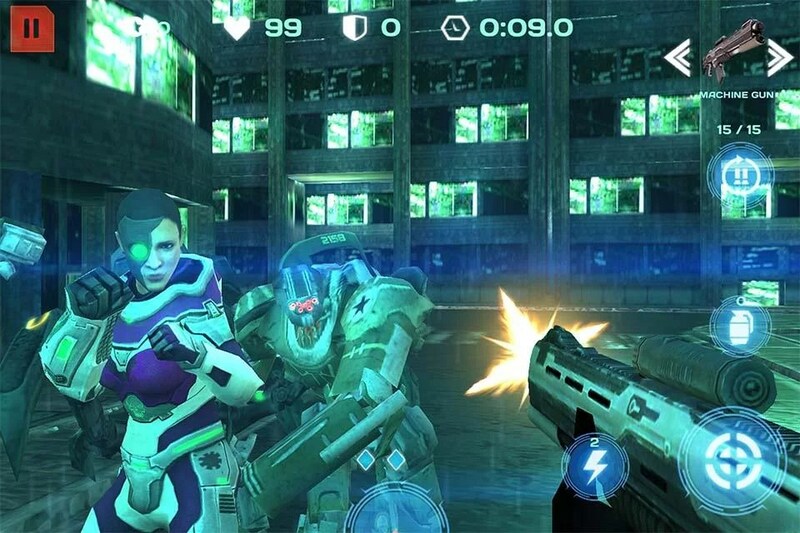 It is one of the more casual shooters, easily forgettable in terms of both storyline and gameplay. The game is action packed, yet due to the lack of movement and limited enemy variety it never feels like the player is in any real danger.